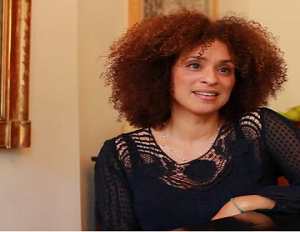 Karyn Parsons, popularly known as Hilary Banks from “The Fresh Prince of Bel-Air,” is on a mission to tell the untold stories of lesser-known figures in black history. Last year, Parsons launched a non-profit called Sweet Blackberry, which aims to educate children about the unsung heroes in black America with published books and videos. Now, Sweet Blackberry has launched a Kickstarter campaign to help fund a short film that will tell the story of Janet Collins, who is the first African American prime ballerina in the Metropolitan Ballet. “You don’t want it to become a boutique history. Black history isn’t a separate history. This is all of our history, this is American history, and we need to understand that,” Parsons tells the HuffingtonPost about the need to educate ourselves on all individuals who play a role in African American history. Parsons says Collins’ story caught her attention after reading her obituary in the New York Times when she passed away in 2003. Despite being shut out of dance theaters for refusing to perform in whiteface, Collins continued to persevere with her talent and rose to fame even in the midst of adversity. Sweet Blackberry’s Kickstarter goal is to raise $75,000 by July 18. So far, the campaign has raised about $31,000 with more than 300 backers.